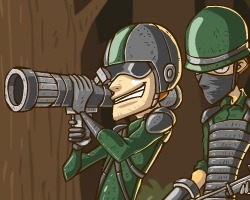 Description : Stick Squad is a FREE stickman shooter game with awesome sniping missions. The game features an appealing story line, with our two anti-heroes Damien Walker (Recruit Tactical Sniper) & Ron Hawkins (Veteran assault specialist). Real fans of stick sniper games will love this free shooting game.